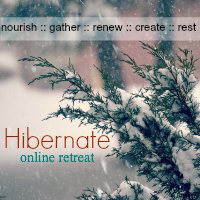 Hibernate is a self-paced, four week, online retreat - a place to celebrate the pause that wintertime brings. A place to linger through the dark and quiet, to welcome stillness, and allow time to enjoy home and hearth. Each weekday will follow the themes Nourish, Gather, Refresh, Create, and Rest. Content will be delivered through our private class website in the form of beautiful mini e-books and videos. In addition, there will be an interactive community to share ideas and experience, if you choose. You will find the days in a single week thread together with projects and ideas that compliment each other. 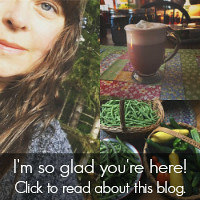 Starting where you are, and working with what you have, you will pick and choose the projects, prompts, recipes and inspiration that speak to you. 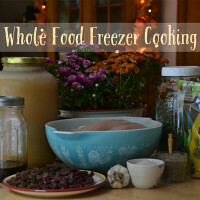 Each Monday we'll spend in the kitchen preparing delicious, healing, whole foods for winter enjoyment. You will enjoy recipes, video demonstrations, and mindful reflections from the kitchen. Masala Chai, 2 ways - Warming Rooibus and Wintertime Spice ~ with video demonstration. Create a Sunday Afternoon 'Snack' Buffet. Noticing and celebrating everyday rituals in the kitchen. Sprouting 101 ~ with video demonstration. Each Tuesday I'll share ways to come together with intention during this time of quiet hibernation. With friends, family, or alone in solitude - be inspired by simple, interesting themes to add a spark of light and connection to the darkest of days. Plan a homespun Japanese inspired tea ceremony. Fireside or candlelit dessert night. 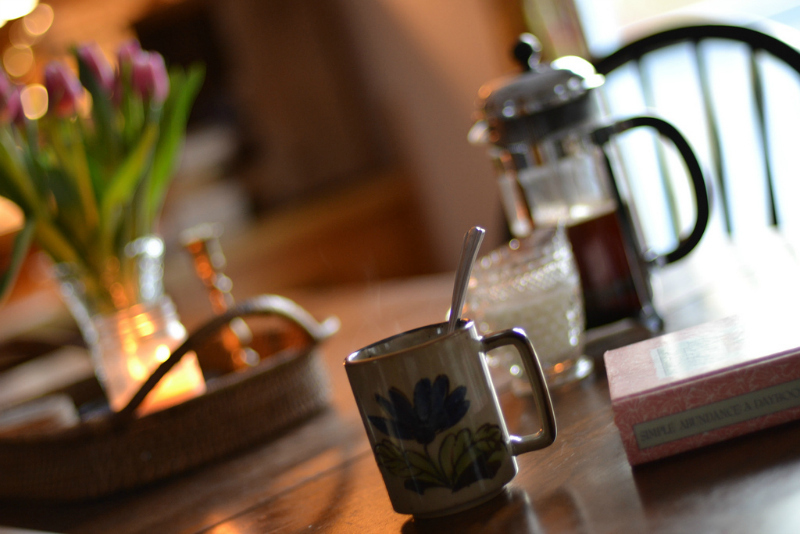 Weekend Hibernating ~ learn simple ideas to perfect your cozy weekends. Each Wednesday will bring an assortment of simple and natural, projects, recipes and inspiration to pamper and rejuvenate mind, body and spirit. Make a warming winter tonic. Reflective and uplifting journal prompts. Plan a winter hike and picnic - with recipes. Recipes to freshen your living space. Each Thursday I'll share art and craft tutorials. Only basic knitting and sewing skills are necessary... and for the Meditative Art Piece... all levels will shine here. Handmade projects for the kitchen. Learning to draw a Meditative Art Piece ~ I'll teach the basic techniques I use in my own artwork. A written tutorial (and accompanying instructional video) for making your own Cash Budget Pouches. I chose to include this project because even though Hibernate is a time of relative quiet and ease... during the new year we feel hopeful and motivated to organize and clean-up a few areas in our life. These pouches are a wonderful tool for many people. Also, sewing can feel quite restorative! Each Friday we turn inward for reflection and calm, settling in for the weekend. 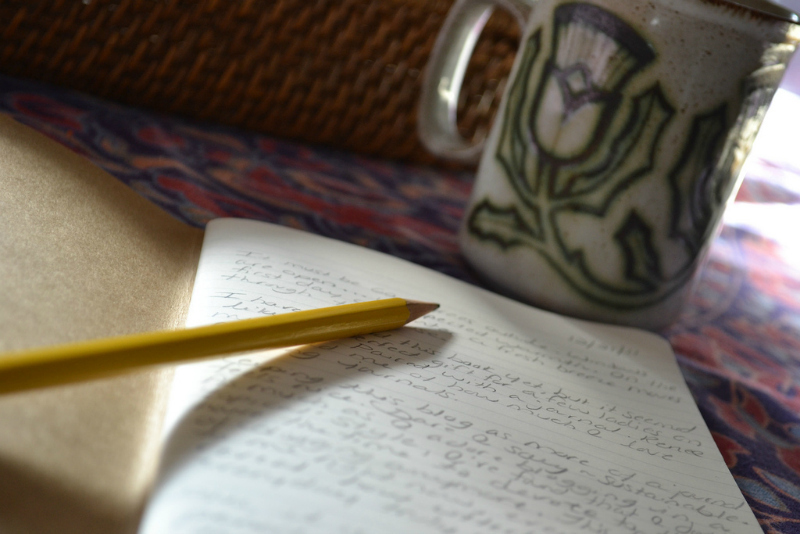 Restful, nourishing thoughts will be shared, complimented by prompts and projects in the same light. Turn your bedroom into a sanctuary. A simple to memorize, brief yoga routine ~ perfect for bedtime. Recipes for natural, essential oil infused body care ~ to promote rest and healing. 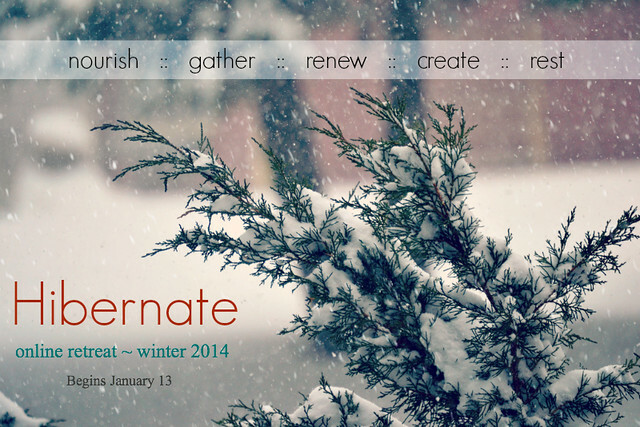 Hibernate is filled with ideas to help you revel in the beauty of the season. As our bodies slow down, leaving the activity of warmer months behind us, our hands welcome meaningful activity, and our hearts open to the beauty of home. While this retreat may seem plentiful in its offerings, by no means should you feel compelled to do each little thing. Hibernate shares a variety of activities (or non-activities), to meet the interest and schedule of many people. If you feel ready for the warmth and peace found during this cozy time of year, than please join us. I'd love to Hibernate with you.